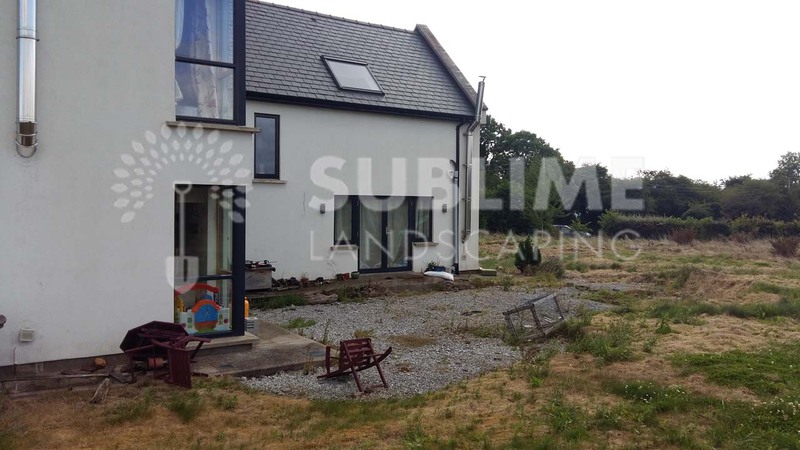 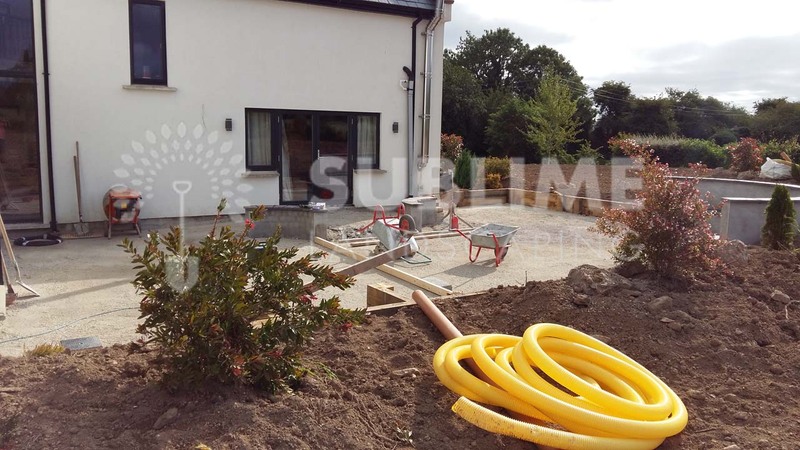 With an agreed budget set for the entire site after the initial design and some tweaks, Sublime landscaping were tasked with recovering this post new build site. 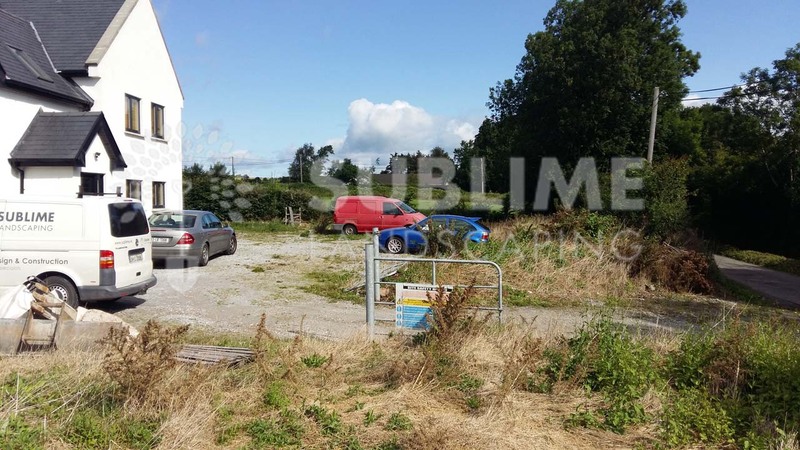 Sublime implemented the final conditions of planning for the entrance area and planted the site as far as the budget would allow. 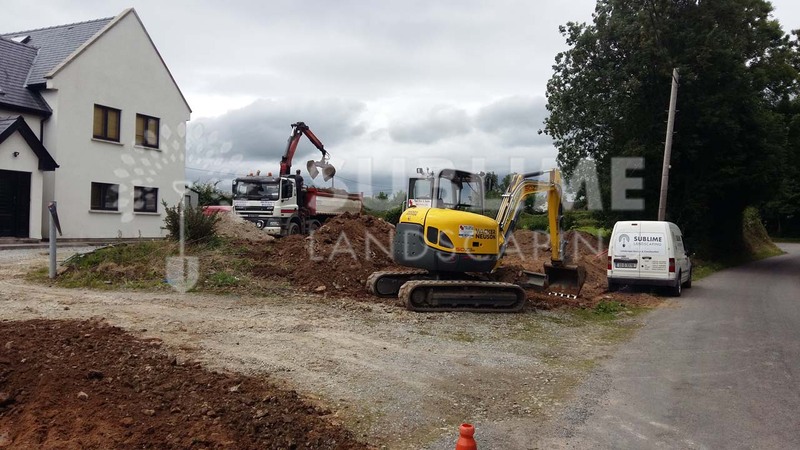 A very old crumbled stone ditch was dug out from the boundary and was used to rebuild the circular stone entrance pillars and front boundary walls. 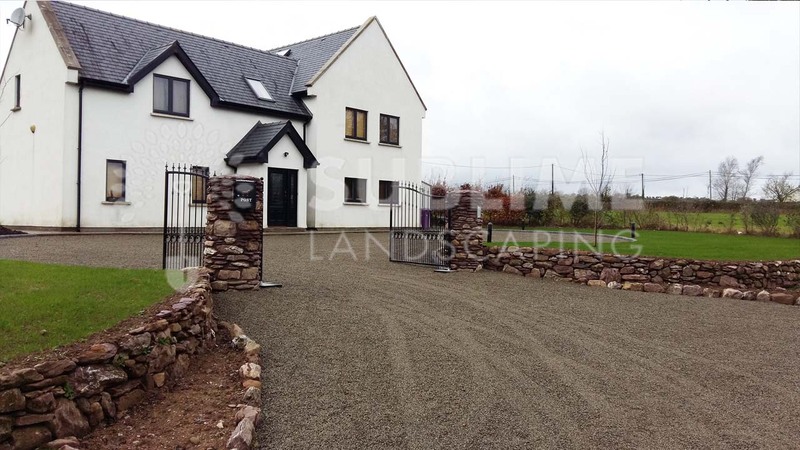 Lawns, electrics were also installed along with a decorative concrete patio out the back and Sublime also installed electric gates at this site based in County Cork. 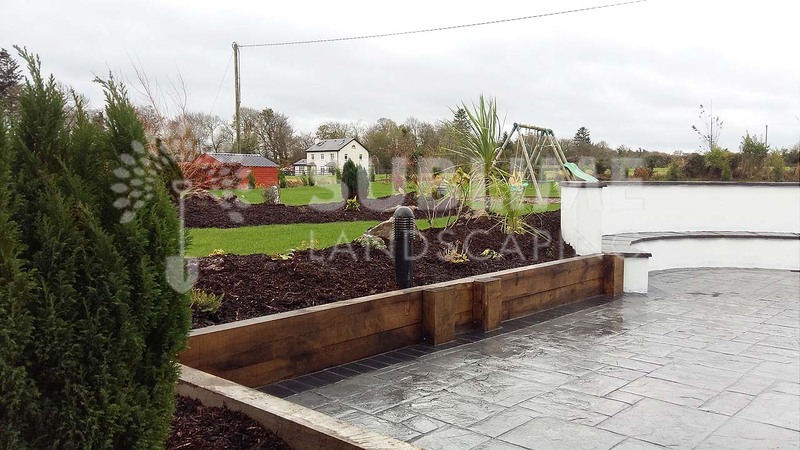 Paul came along and immediately understood our requirements as well as made some fantastic suggestions to create the design that is now our lovely garden and patio in Rathcormac. 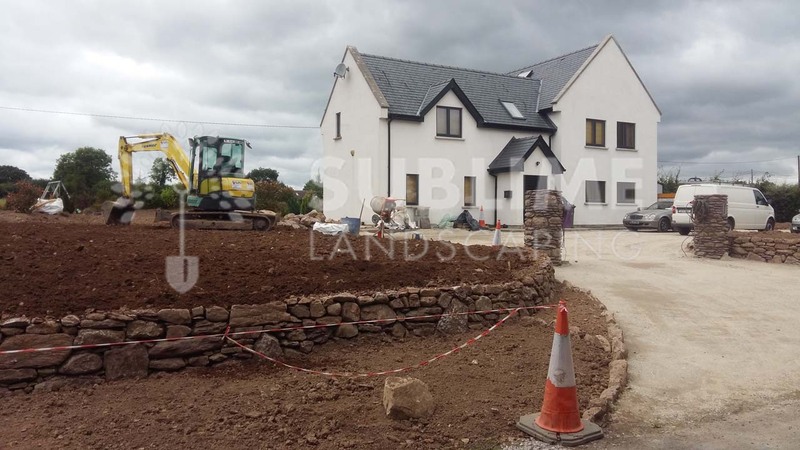 I can't speak highly enough of Paul and his team, always letting us know where we were from a design to completion standpoint and each step of the way made sure everything went according to plan.